Just wondering if anyone had any good or bad experiences to share about Keto diet? Previous story What society needs! The best part is the health benefits. Fatigue disappears, sugars in type 2 diabetes returned to normal, arthritis pain improved. Best thing I ever did, been over a year and would never go back to eating “carbage” again. 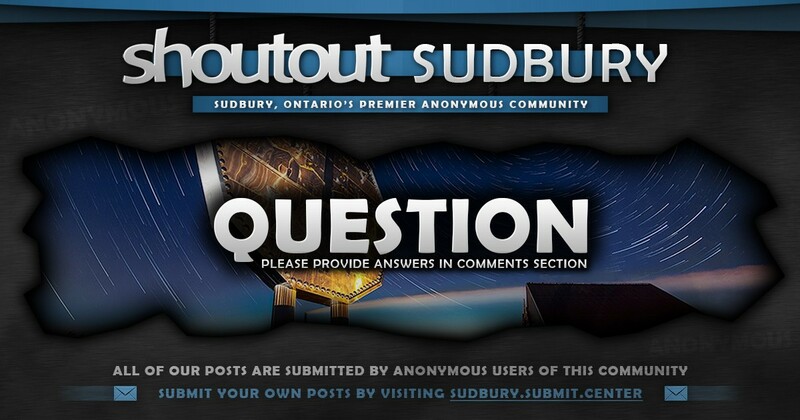 We are an anonymous online community based out of the Greater Sudbury Area in Ontario, Canada. We provide a service that allows people to voice their opinions to our 28,000+ followers on any given day. Everything we publish is submitted by people such as yourself. Submit a post [right now]! Shoutout Sudbury was established in Oct. 2015. DON'T HESITATE • SUBMIT SOMETHING! Made with by Jody Mitoma. © 2015-2019 Shoutout Sudbury.